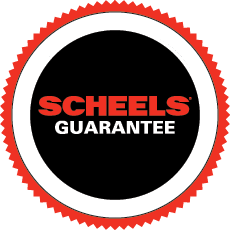 We have worked extensively to build a custom line up of high quality Clam Ice Fishing Shelters that are found exclusively at SCHEELS. Clam’s Flip over style shelters are very popular and often imitated. Their Fish Trap design is popular for mobile anglers on the go, but Hub style shelters are also extremely popular. A question we often get asked is “which shelter design is best?” Listed below are a few considerations for choosing the right ice fishing shelter and deciding between a flip over or hub design. Hubs have become popular with ice anglers over the past five years for several reasons. 1. Hubs are extremely compact, often folding up into a duffel bag that is 4 to 6 feet in length, depending on the shelter. Ice anglers that have limited room can haul a hub shelter in a car or SUV. Anglers can carry them easily out on the ice with shoulder straps or pull in a sled. 2. While a hub might not take up much room when stored, they fish big and are perfect for families or groups of anglers that need a larger shelter. Some ice anglers even camp out on the ice using a hub shelter. Hubs also work great when anglers want to fish with multiple rods, due to the additional room hubs provide. 3. Hubs are also extremely popular because of their affordability. For a high quality hub shelter that offers tremendous value to ice anglers, take a hard look at the SCHEELS Exclusive Jason Mitchell Elite Series Hub Shelters by Clam Outdoors. These shelters feature thermal fabric that not only holds in more heat but reduces condensation. The hub assembly is the heaviest duty assembly found on any hub and the poles are flex tested to stand up to harsh winter conditions. 4. Hubs are preferred by anglers who need to hunker down on a location and wait out feeding windows or need a comfortable base camp. Flip Over style Fish Trap designs are popular for ice anglers who need to be extremely mobile and self contained. 1. Flip Over shelters like the SCHEELS Exclusive Jason Mitchell Elite Series Fish Trap designs by Clam Outdoors are durable and self-contained shelters that feature heavy duty tubs/sleds. This not only allows for rugged use for towing behind ATV or snowmobile, but it also lets anglers store and organize gear (propane tanks, heaters, rod cases and tackle boxes). Heavy Duty tow hitches and hyfax runner kits are available. 2. Flip Over shelters are much more mobile. For finding fish, ice anglers can simply flip and go to stay on the move. Large heavy duty tubs like the Voyageur tub tow well behind a snowmobile or ATV, while smaller Scout and Nanook tubs are designed for easily towing or moving by hand. Choose the best size for your own personal fishing style and destination. 3. Flip Over shelters allow for much more modification and personal customization. Anglers often install bait wells, storage containers and racks inside the tubs for better organization. LED lights are also extremely popular with today’s ice angler. 4. In some of the most brutal conditions on the ice, flip over shelters prove to be extremely rugged. Support bars and ice anchors will anchor down in extremely brutal winds. Because of the framework, heavier thermal fabric can be used to not only hold heat in the coldest conditions, but also to cut wind.